What Is High Intensity Interval Training and Why is it so Effective? Do your cardio in half the time, but more effectively than long jogs? Here is everything you need to know about High Intensity Interval Training (HIIT). repeated for a number of cycles. Cardio workouts like running, cycling or swimming and strength routines like bodyweight exercises or weight training can both be used with HIIT. The key element of HIIT is that the high intensity intervals involve maximum effort, not simply a higher heart rate. Go all in! 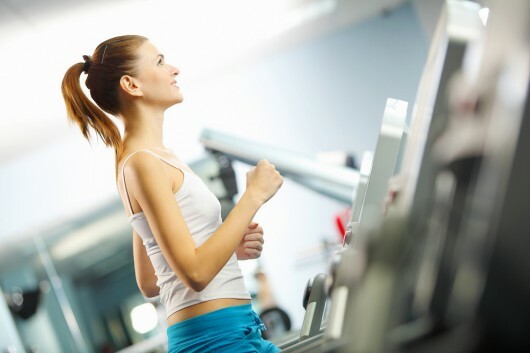 Typical low intensity cardio, such as running, is not effective for weight loss. In fact, an October 2014 study performed by researchers at the Arizona State University in Phoenix, Arizona, came to a surprising finding. 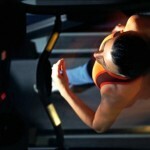 They recruited 81 overweight women to run on the treadmill three times a week, 30 minutes each time. The women did not need to change their diet. What do you think the result was? A whopping 70 percent of the women actually gained weight! And the weight gain consisted of fat tissue, not muscle. Not enough time for exercise? No access to a gym? These are not valid excuses anymore. HIIT workouts can be done anywhere and most are 30 minutes or less! Who can’t spare that? With HIIT, intensity bursts may be more grueling, but they are short and challenging. That makes the workout more fun than spending 30 minutes on a stationary bike. No dumbbells? No problem! HIIT workouts can be done usinh only your body weight, since the focus is on getting your heart rate up and keeping it there. Numerous studies comparing HIIT to low-intensity exercise have shown that HIIT is far superior for fat loss, despite requiring less time to complete. 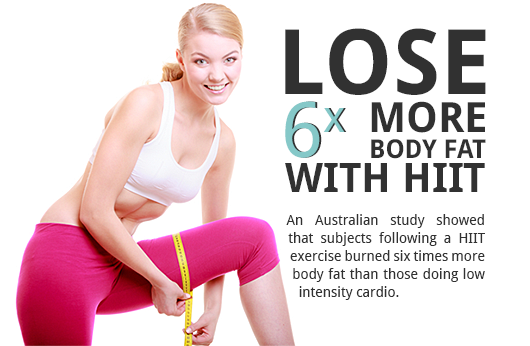 A 2008 study from the University of New South Wales, Sydney, Australia, reported that women following a 20-minute HIIT program consisting of 8-second sprints followed by 12 seconds of rest, lost six times more body fat than a group who followed a 40-minute low intensity cardio program performed at a constant intensity of 60 percent of their maximum heart rate. A 2001 study from East Tennessee State University demonstrated similar findings with subjects who followed an 8-week HIIT program. Subjects dropped 2 percent in body fat, while those who followed a low-intensity program had no percentage drop in body fat. 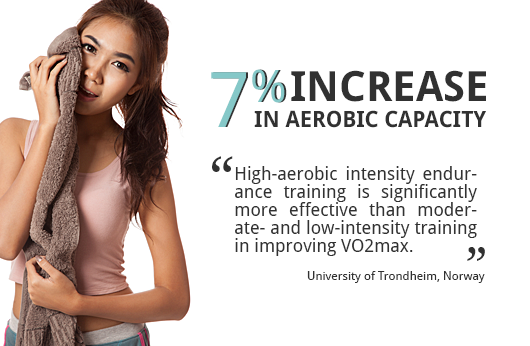 The measure of aerobic capacity is something called the VO2max. Put simply, this is the maximum of oxygen the lungs can transport to working muscles during exercise. As such, VO2max is one of the primary determinants of endurance performance. Studies show conclusively that exercisers performing intense intervals for a relatively short duration achieve the same or even better improvements in VO2max than those performing long sessions of steady-state cardio. HIIT elevates metabolism (and therefore fat burning capacity) because it is such a dramatic, positive stress on the body. The body spends the hours following exercise recovering. This excess post-exercise oxygen consumption (EPOC or ‘after burn effect’) can improve fat burning ability for as much as 24 hours after the workout. 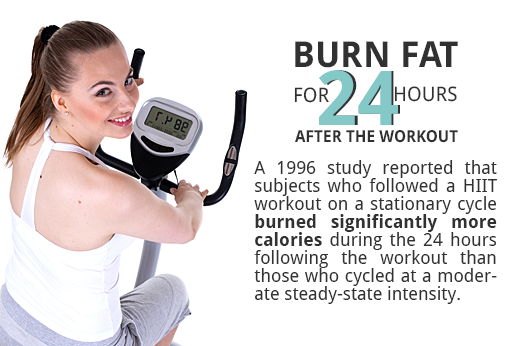 A 1996 study from Baylor College of Medicine, Houston, Texas, reported that subjects who followed a HIIT workout on a stationary cycle burned significantly more calories during the 24 hours following the workout than those who cycled at a moderate steady-state intensity. Another benefit of High Intensity Interval Training to the metabolism is the positive influence on insulin sensitivity. Researchers have found in a 2009 study that HIIT can also improve the body’s ability to process glucose, meaning muscle energy stores (glycogen) are more readily replenished and blood sugar spikes even out quickly. The opposite of such efficient insulin production — insulin resistance — is the condition known as diabetes. The Gibala study (details below) showed a 35% increase in insulin sensitivity over 2 weeks for 7 sedentary adult subjects. 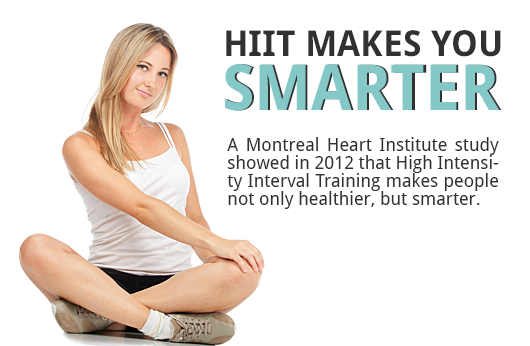 High Intensity Interval Training makes people not only healthier, but smarter, showed a Montreal Heart Institute study in 2012. Cognitive function and brain oxygenation during exercise testing revealed that the participants’ cognitive functions had greatly improved. A study lead by the University of North Carolina found that High Intensity Interval Training resulted in increased testosterone levels. Since testosterone is critical for boosting muscle size and strength, this means that doing HIIT can aid muscle growth and strength. In another study, New Zealand researchers had competitive cyclists complete for weeks of HIIT involving 30-second sprints on a stationary cycle separated by 30 seconds of rest. One group sprinted with high resistance on the pedals, making it harder to pedal, while the other group used a lighter resistance, which was easier to peddle. Both groups peddled as fast as they could during the 30-second sprints. 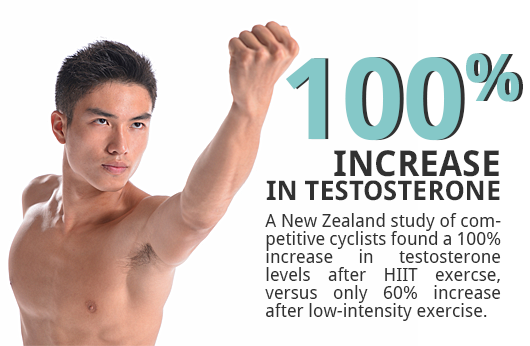 The research found that the men peddling at the highest resistance increased their testosterone levels by almost 100 percent, while the group peddling at a lighter resistance only increased test levels by about 60 percent. Probably the most famous scheme HIIT workout comes from the famous study performed in 1996 by Izumi Tabata. Not only was this a ground-breaking study in exercise science, the Tabata protocol is appealing because one round of intervals takes a mere 4 minutes. Something so stunningly simple and time efficient that could produce great improvements in cardiovascular fitness and overall health was destined to become a hit. Tabata compared the results from a group of speed skaters performing steady state cardio at 70% VO2max, 5 times per week, with a group doing a specific set of interval training at 170% VO2max just 3 times per week. Tabata found that not only did the group performing HIIT achieve greater gains in VO2max, they also made gains in anaerobic capacity that the control group did not. High Intensity Interval Training comes in many forms and can be adapted to suit anyone’s fitness level, activity preference and lifestyle. A Tabata workout lasts just 4 minutes and includes a simple workout to rest ratio. For every 20 seconds of exercise you rest a mere 10 seconds. Perform this style workout for 8 rounds and you’re done. This really is exercise minimalism at its finest. There is nothing stopping you from doing more rounds if you are really fit. Most people find the 4-minute workout three times a week to be sufficient to significantly improve cardiovascular health. In this regimen of interval training, complete 8-12 rounds of 60 second intervals at 95% VO2max, followed by 75 seconds of rest .To implement Gibala Intervals, start with a three-minute warm-up. Cycle for 60 seconds quickly and with max resistance. Follow that with 75 seconds of slow cycling at low resistance, and repeat the fast/slow cycle for a total of 27 minutes. This is best for those at an intermediate fitness level who have 30 minutes to spare. The only equipment you’ll need is a good timer. You can buy special timers that you can program specific intervals into or simply use your smartphone. You will need these because chances are you won’t be able to concentrate on counting when your body’s main concern is getting enough oxygen! A good, cheap interval timer is the Gymboss timer, but there are many others out there. The biggest danger with any intense exercise program is overtraining. It is tempting to think that because HIIT workouts are short compared to other forms of conditioning, more workload can be safely added to the regimen. Trainers call this overreaching, which over time can lead to overtraining as fatigue builds up and the body fails to cope properly. The important point here is “stimulate don’t annihilate”. Make sure you are fully recovered between workouts — don’t multiply your fatigue by pushing yourself again too soon. What time of the day is best to do HIIT? The answer to this one is by no means definite. Some swear by morning workouts, while others prefer the afternoon or evening. There is one problem with morning workouts: make sure you don’t do your HIIT workout on an empty stomach. Fat is burned hours after your workout. If you work out on an empty stomach, your body will prioritize muscle loss before fat loss. Men and women who are in good health and who exercise on a regular basis. Beginners, or those who have taken a break from the gym for a while, shouldn’t attempt HIIT sessions before they have a decent base level of fitness. High. Most of the time you should be working at as fast as you can with good form. However, protocols with longer interval durations (30s plus) might require lower intensities. If you think of exercise intensity in terms of a 1-10 scale, HIIT efforts should be from 7-10. What’s the ideal length of a workout? The ideal length depends on your fitness level, age and a number of health factors. Generally, you should be exhausted after a workout. This could be four minutes for one person and 20 minutes for the next. The sweet spot for most exercisers is 10-15 minutes. That depends. Because this form of exercise elevates the heart rate to high levels make sure you get the okay from your physician before embarking on any HIIT regimen. HIIT is good for most people with a decent level of fitness but there are always risks. Some people will not be suited to such intense activity so make sure you get checked out first. Can I do HIIT and Strength Training on the same day? Absolutely, but do your strength training first. HIIT actually serves as a great finishing workout and helps promote circulation to your muscles, aiding in recovery. The best part is that interval training can be done in a very short period of time so you’re not compromising your resistance training with an extended cardio workout. Five minute warm-up running at an easy to moderate pace. 30 seconds sprint all out as fast as you can. 1 minute reduce speed to a comfortable pace to fully recover. 5 minute cool down at an easy pace. Here is a sample bodyweight HIIT workout. It starts with a work to rest ratio of 1 to 2 , for a total workout time of just 7 minutes.